Measures: Cast iron plaque with running horse and large WELCOME. 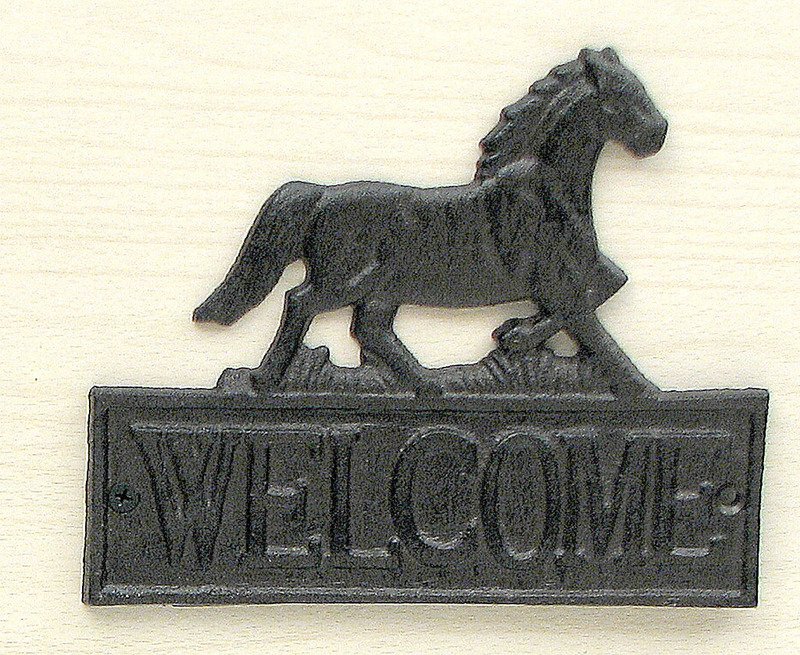 Great for any porch, barn or entry welcome. Item priced single, to help volume buyers they come 3 per inner pack, 18 per case. Measures 7"W x 5.75"H x .25"D.